If you live in cooler climes, winter is a time to take precautions against carbon monoxide poisoning. Residents of the northern parts of the country are starting to seal up their homes to keep them warm over the winter, which can increase the threat of carbon monoxide poisoning. According to the Centers for Disease Control and Prevention, carbon monoxide poisoning is the leading cause of accidental poisoning deaths in the United States. Rates of injury and death are highest in the winter and among residents of the Midwest and Northeast United States. To minimize risk, it is important to understand the symptoms of carbon monoxide poisoning and how to prevent it in your home and other sealed locations like your car and garage. Carbon monoxide is a dangerous gas that you cannot see, smell, hear, taste or feel. Without detection equipment, your first clue that carbon monoxide is present may be symptoms of poisoning in yourself or a loved one. Many household appliances produce carbon monoxide, including oil- and gas-burning furnaces, portable generators and charcoal grills. 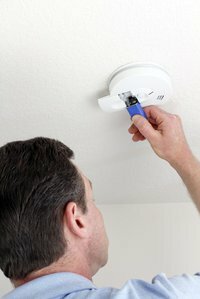 Install CO detectors outside every bedroom and in the basement or where your oil or gas-powered appliances are. Get regular service for appliances that use oil or gas. Do not use appliances to heat your home that are not built for that purpose, such as portable camping stoves, lanterns, charcoal grills or your oven. Never sleep in a room heated by a gas or kerosene space heater. Taking these simple steps can keep your family safe from CO poisoning throughout the winter months.